The Malacañang has officially released the list of official holidays in 2016! This is surely a joy to many of us who love to travel and explore places. We could now plan our trips around long weekends and holidays plus avail of great discounts from tour packages and airline tickets by booking much earlier. Proclamation No. 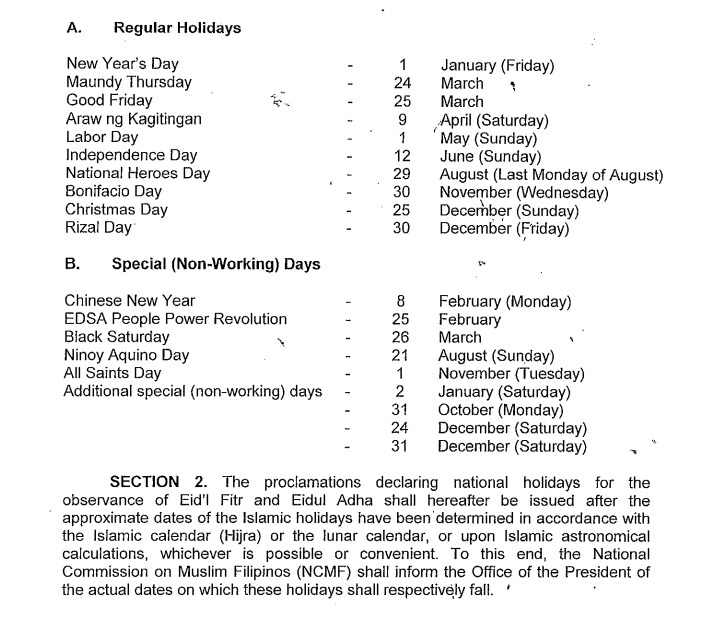 1105, issued to the public on August 26, lists all the regular holidays and special non-working days for 2016. Mark your calendar and take note of these long weekends: January 1 - 3, February 6 - 8, March 24 - 27, August 27 - 29, October 29 - November 1, and December 30, 2016 - January 2, 2017. Plan your trips ahead. Have fun! Time to plot those leaves.